The National Retail Federation estimates that online sales will grow 6 to 8 percent this holiday season. That translates into billions of dollars in consumer spending that can empower philanthropy and social good. 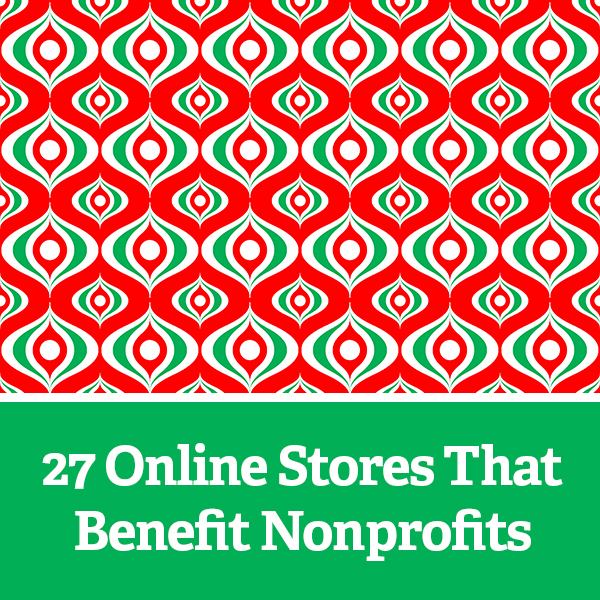 By shopping at any of the 27 online stores listed below, conscious consumers can channel some of their spending power into the nonprofit sector. Or, if you prefer to donate to a nonprofit in the name of a friend, colleague, or loved one, you can purchase a tribute holiday gift. Either way, give back this holiday season and shop for good. Now You Can Enjoy Olympic National Park Every Day! Olympic National Park Poster Just Released! The latest poster to be released by The National Park Poster Project is for Olympic National Park and features the park’s rain forest, massive trees and lush vegetation. With nearly one million acres, Olympic National Park encompasses several distinctly different ecosystems and protects a rich mosaic of natural and cultural history. Untamed rivers flow from glacier-capped peaks through valleys of old-growth forests, waves crash against a shoreline rich with life, and only trails traverse the vast interior of this internationally recognized wilderness. And now you can enjoy Olympic National Park every day with this classic WPA-style poster — available exclusively to Kickstarter backers! The National Park Poster Project is Live on Kickstarter! The Park Catalog recently compiled this Top 20 List of the most popular US parks. Every year about 275 million visitors travel to more than 400 national park locations in the United States. Since 1916, the National Park Service and its 20,000 employees have maintained hundreds of parks, monuments, battlefields, historic sites, lakeshores, seashores, scenic rivers, trails and more! If there are a few national parks you haven’t visited, be sure to put them on your list for future vacations. They are all truly magnificent and unique. Take a ride on the Blue Ridge Parkway! The National Park Poster Project is now one of the most successful Art Projects on Kickstarter! And, the first 350 backers will now get the “Worth Protecting” WPA-style National Park poster for FREE!!! The National Park Poster Project achieved amazing success on just its first day, hitting the initial funding goal in just 12 hours! Now with more than 160 backers on Kickstarter, the project is well on it’s way to becoming one of the most successful Art Projects on Kickstarter! Please let me know which of these two versions you like best for Great Smoky Mountains National Park! And feel free to share it with anyone you know who has been to Great Smoky…I’d love all of the input I can get. This poster will be part of the Centennial Collection, which you can see on Kickstarter here: The National Park Poster Project Centennial THANKS!